Royal Jelly helps with depression/anxiety AND a scary Halloween coupon! Halloween is just around the corner. To celebrate, I have an exclusive Halloween coupon for all of our Buzz subscribers. I've also covered a recent study on mood disorders such as anxiety and depression and how royal jelly may help. Are you constantly tired, feel exhausted and wake up extremely groggy? If so, you might have adrenal fatigue (25% of us do). I cover how to use bee pollen, nutrition and other herbs to combat this tiring condition below. I love to hear from you so please reply to this email and let me know what you liked or didn't like in this issue. Or, tell me how we can improve! Royal Jelly for Depression and Anxiety? Many of us deal with mood disorders such as anxiety and depression. Regular intake of Propolis has been shown to help with anxiety and now royal jelly is showing similar potential for both anxiety and depression. Read my thoughts on the study and other tips on how to deal with these issues here. Bee Pollen for Adrenal Fatigue? 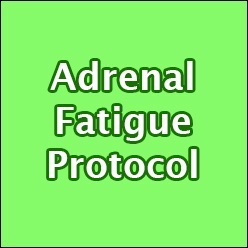 I have suffered from adrenal fatigue in the past, as have many of our readers. Part of my mission as both a 'bee girl' and a Holistic Nutritionist is to create nutrition programs combining the best of what the hive has to offer with other nutritional supplements AND good nutrition to treat challenging health conditions. If you are feeling stressed continually, tired, exhausted or constantly getting sick, you might have adrenal fatigue. Read my article on how to use nutrition, bee pollen and more to treat this stubborn condition here. Anti-oxidants, Immunity Booster & Brain Function? Could it be possible that one supplement could do all of this....and more? The answer is yes. My most popular article on Bee Pollen Buzz, one that has been shared all of the world online, is The Top 10 Benefits of Royal Jelly. Brush up on your royal jelly knowledge and find out what you might be missing by not including this super-supplement in your daily regiment here. With the continuing decline of bee populations and more eradic weather patterns, less and less honey is being produced in Canada and the USA. This summer was no exception and we saw a very small honey crop at the Dutchman's Gold honey farm. We were not the only beekeeper to experience this and overall, the honey crop in Canada was quite small. As a result, the market price for honey has gone up over 20%. You also likely read or heard about the recent scandal about the beekeepers in the USA who were importing cheap Chinese honey and mislabelling it as domestic honey. This threatens the Canadian and U.S. honey industry by undercutting fair market prices and damaging honey's reputation for quality and safety. Obviously, most of you don't want to consume low grade, off shore honey. Neither do we. It is important for you to know the source of your honey and to trust the people who are supplying it. We absolutely guarantee that our honey products are 100% Canadian sourced. Unfortunately, this means that honey is now more expensive to buy. Remember this - if the honey you are buying is suspicously cheap, it is Chinese. October Specials - Only a Few Days Left! October Specials along with some new products from Beauty and the Bee are now up! Beauty and the Bee is a new line of hand crafted, luscious bee-hive based soaps, creams and lip balms designed and produced by Dutchman's Gold. To view our October Specials, click here.